Susan Monkman, B.A., M.A. Couns. Psych. 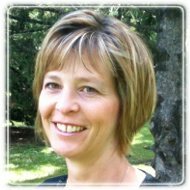 Susan Monkman is a Winnipeg-based counselling therapist with a Master of Arts degree in Counselling Psychology and a Bachelor of Arts degree in Social Science. Susan is a Certified member of the Professional Association of Christian Counsellors and Psychotherapists and the American Counseling Association. Sue is a genuine, caring person who desires to provide you with a supportive and accepting place to safely explore aspects of your life that hinder personal growth and sense of well-being. Susan uses a collaborative and holistic approach to treatment. Through careful and accurate listening, sensitivity and encouragement, Susan will work with you to identify and challenge factors that are contributing to problem issues, and identify strengths that will help you move towards self-acceptance and solutions. Susan has specialized training and experience in couples therapy, relationship issues, anxiety, depression, and trauma and abuse. Susan has a special interest in helping youth, individual men, women, and couples work through painful relational issues that stem from trauma and abuse, unresolved attachment issues, or social oppression related to ethnicity or race, age, gender and/or sexuality. Other areas of specialty relate to stress and life transitions, self-esteem, depression, anxiety and panic attacks, grief and loss, self-harm, and spiritual crisis. When appropriate and requested , she enjoys helping people incorporate their spiritual beliefs and practices in therapy to support their growth. Shaped by a diverse cultural context, Susan has gained an understanding and appreciation of European, Western, and Aboriginal worldviews, contributing to an openness and sensitivity in working with culturally diverse clients and interracial couples. Through personal and professional involvement with the Aboriginal community, Susan is also sensitive to and aware of social and political issues affecting Aboriginal people as well as other minority groups. “You can never be other than who you are until you are willing to embrace the reality of who you are. Only then can you truly become who you are most deeply called to be.” (p. 57).